A careful planning of the main point of access to the herniated disc is crucial for positive surgical results. Magnetic Resonance Imaging (MRI) and/or computer tomography (CT), as well as multiple conventional x-ray images have to support the TESSYS® surgery. TESSYS® can be used for all kind of deherniation or decompression of the lumbar spine (including L5/S1). 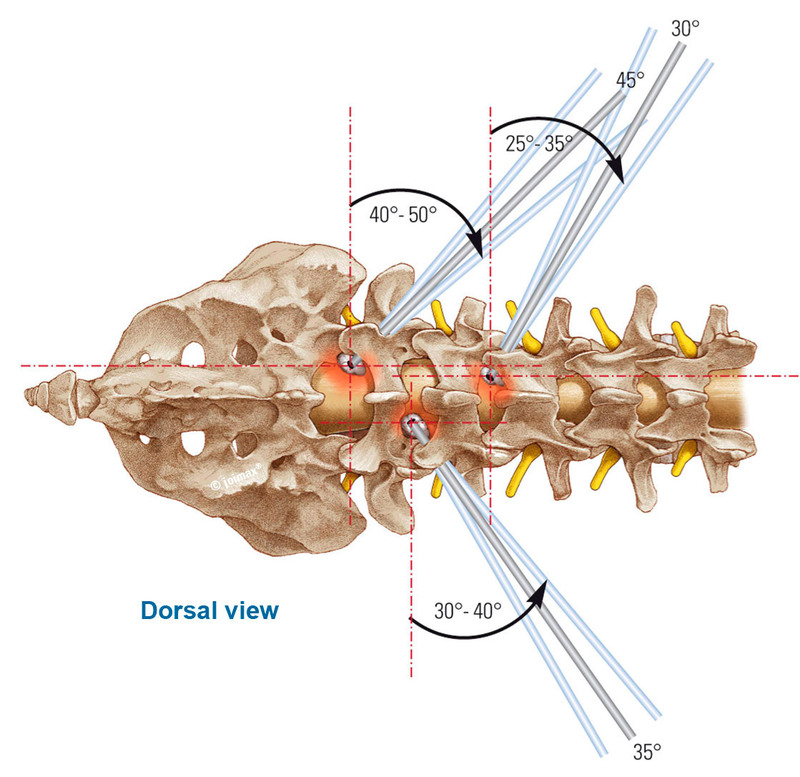 The intervertebral foramen is used for safe access to the spinal canal. 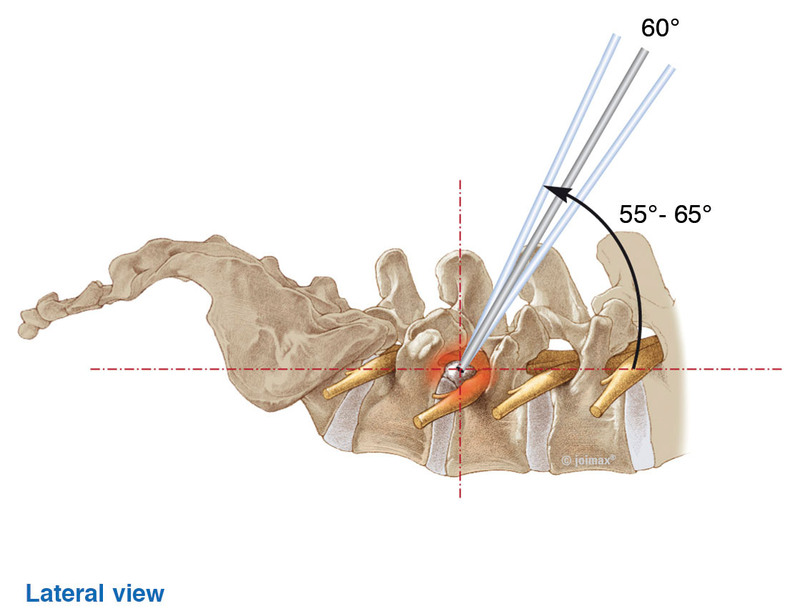 In order to avoid irritation of the nerves in the foramen, the caudal part of the intervertebral foramen is widened millimeter by millimeter using special reamers. Especially, if due to location of the pathology or the age of the patient the foramen is narrow. In that case bone material has to be removed. Using special endoscopes with a working channel, herniated disc material can be removed with forceps. To get a better understanding of the surgical technique, have a look at the TESSYS® Animation Video. We offer the joimax® Training Program, with special training courses where you can deepen your knowledge of the TESSYS® surgery method.